Short bio: Muhammad Imran is a Research Scientist at the Qatar Computing Research Institute (QCRI) where he leads the Crisis Computing team under the Social Computing group from both science and engineering directions. His interdisciplinary research focuses on natural language processing, text mining, human-computer interaction, applied machine learning, and stream processing areas. He analyzes social media communications during time-critical situations using big data analysis techniques such as data mining, machine learning, and deep neural networks. He develops novel computational models, techniques, and technologies useful for stakeholders to gain situational awareness and actionable information for emergency response. Dr. Imran has published over 60 research papers in top-tier international conferences and journals including ACL, SIGIR, IJHCI, ICWSM, WWW, ASONAM, and ACM HT. Two of his papers received the "Best Paper Award." He has been serving as a Co-Chair of the Social Media Studies track of the ISCRAM international conference since 2014 and has served as Program Committee (PC) for many major conferences and workshops (SIGIR, ICWSM, ACM DH, ICWE, SWDM, etc.). 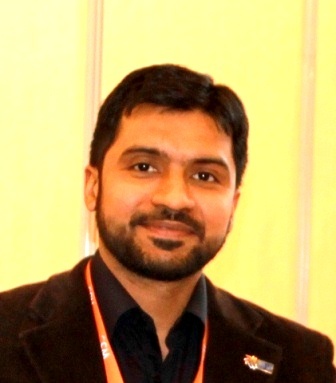 Dr. Imran has worked as a Post-Doctoral researcher at QCRI (2013-2015). He received his Ph.D. in Computer Science from the University of Trento (2013), where he also used to co-teach various computer science courses (2009-2012). Dr. Imran holds a Master of Science in Computer Science degree with a distinction from Mohammad Ali Jinnah University (new name: Capital University of Science and Technology) Islamabad campus (2007). He holds an Oracle Certified Professional (OCP) certification from the Oracle Corporation, California, USA. CFP Special issue 2019: Special Issue on Using AI and Social Media for Disaster Response and Management in the Journal of Information Processing and Management. More details here. CFP ISCRAM 2018: The topics of interest to ISCRAM'18 include, but are not limited to: crisis informatics, geographic information systems (GIS), social media studies, human-computer interaction, humanitarian information management, situation awareness, visual analytics. More details. 2017 April: CFP-Special issue - Co-organizing a Special Issue: Social Media in Crisis Management in the International Journal of Human-Computer Interaction (IJHCI). Deadline July 1st 2017. Consider submitting your papers. 2017 April: CFP-Special issue - Co-organizing a Special Issue: Exploitation of Social Media for Emergency Relief and Preparedness in the Journal Information Systems Frontiers. Deadline July 1st 2017. Consider submitting your papers. 2016 Oct: Our paper A Robust Framework for Classifying Evolving Document Streams in an Expert-Machine-Crowd Setting. got accepted in ICDM 2016 conference. 2016 Sep: - Delighted to give a keynote talk at the ICIC-2016 conference. 2016 May: - Received the Best Paper Award at ISCRAM 2016 conference for our paper Cross-Language Domain Adaptation for Classifying Crisis-Related Short Messages. May 2016 - Honored to be invited to give a keynote talk at the ISCRAM 2016 conference.